TI-83 and TI-84 Calculators for Rent! Need a calculator for your math, science, or business class but don't want to spend $100 or more? Spend half as much (or less!) when you rent from the BHSU Math Club! For either all semester or just your exam! Need a Calculator for the Semester? 1. Print and fill out this rental agreement. 2. Go to the Math Assistance Center in the BHSU Library the SAME DAY with your complete rental agreement and $50 in cash (exact amount please!) or a check (made payable to BHSU Math Club) to pick up your calculator. 3. Return your undamaged calculator at the end of your math final exam. 4. Get back your $25 security deposit! Need a Calculator for Your Exam? 2. Go to the Math Assistance Center in the Library within 24 hours of your exam to complete the agreement, pay the $10, and pick up your calculator. 3. 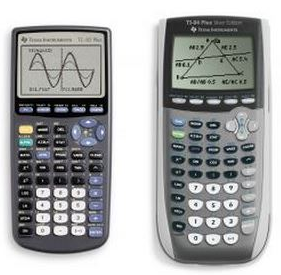 Return the calculator at the end of the exam to the proctor (if in MATH 095, 102, 281). NOTE: If you can't print out the rental agreement, don't worry as copies can be made in the Math Assistance Center.